NYC Wine and Food Festival Revisited! Follow Deidre Groehnert's board Recipes4BusyMom on Pinterest. It’s Finally Here! My First Cookbook! I am not at all trying to be all ‘fancy schmancy’ here, this butter will help save time and takes only a few moments to make, I promise! 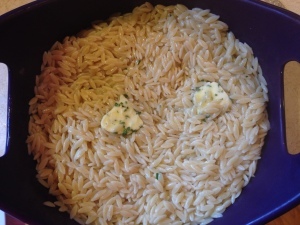 You can make compound butter to add to rice or orzo (see picture below) to put inside or on top of chicken cordon blue (which I am making tonight so will blog about tomorrow) to spread on french bread or toast or drop on hot veggies or use to cook fish. Really endless options here. 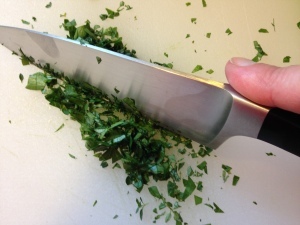 Tip: I used half flat leaf parsley, a quarter lemon thyme and a quarter oregano, I knew I wanted it for a chicken dish particularly but wanted it mild enough for other uses. Rosemary is a strong flavor that works well with chicken or lamb and sage works best with chicken, pasta or eggs. The parsley, thyme, lemon thyme and oregano are mild enough for most applications, with the lemon particularly works well with fish and chicken. 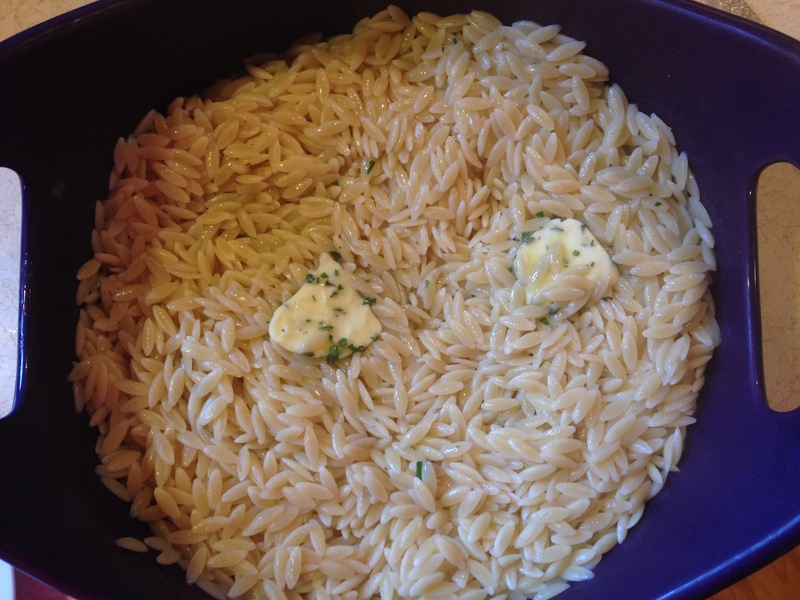 Put the softened butter into a medium size bowl. Add the herbs, salt and pepper. 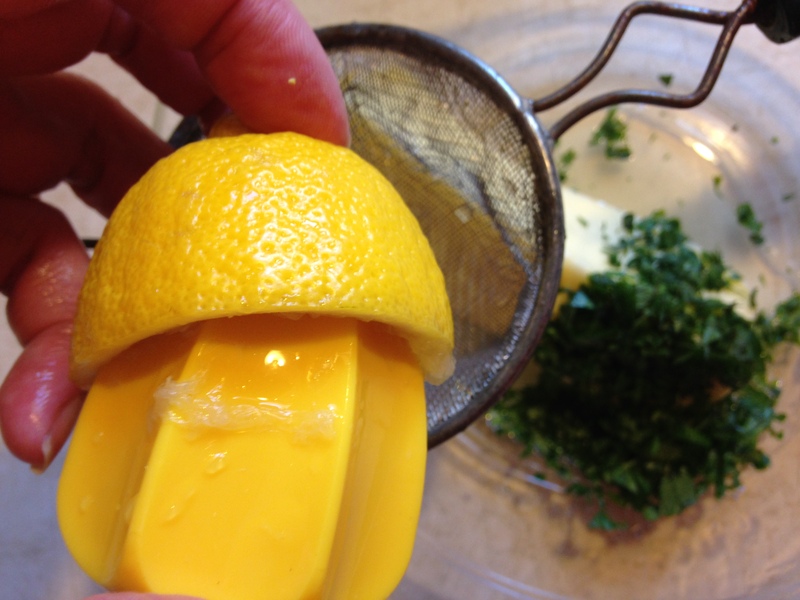 Squeeze in the lemon avoiding the seeds. 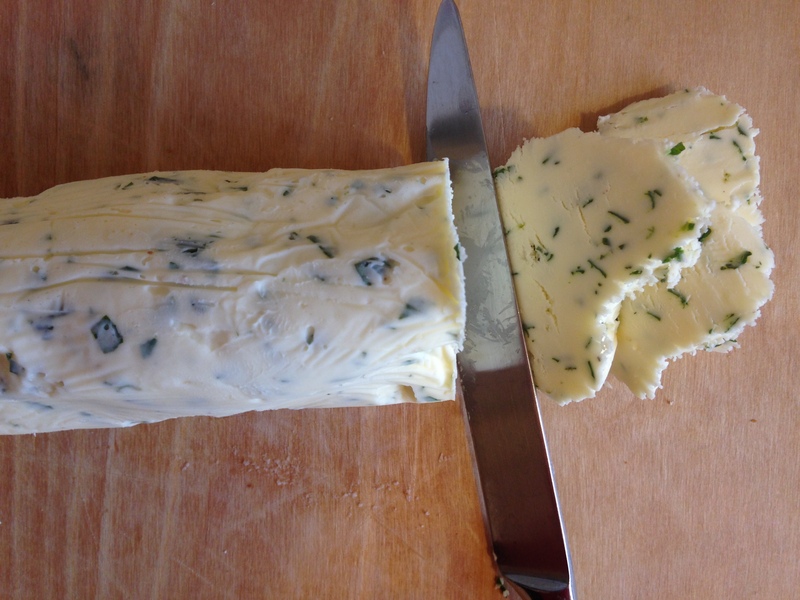 Mix it all together, then grab a large piece of clear wrap, mold the butter into the shape of a long cylindrical log and tighten the ends. Throw it into the freezer for an hour or two and then you can keep it on a small plate covered in clear wrap in the fridge until you want to use it. If you don’t need it that week, keep it in the freezer until you need it, it will thaw in only a couple of hours. 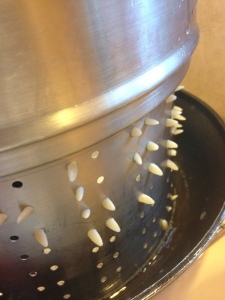 I learned that orzo does not work too well in a pasta pot!